These days the East Atlanta Santa also known as Gucci Mane is the happiest and most successful guy in hip-hop, but he didn't get there right away. Gucci Mane has had problems with the law for many years now, on May 13, 2014 he plead guilty to possession of a firearm by a felon. Gucci served his time in United States Penitentiary in Terre Haute, Indiana and was released from prison 3 month early on May 26, 2016. While in prison the Atlanta rapper displayed his resilience and drive by releasing 24 albums, 8 singles, and appearing on 23 songs. Life after incarceration is not easy for anybody, before his bid in 2014 Gucci Mane had been in and out of prison since 2001. It was a pattern with him, he would get out do well for awhile and end up in the same bad stuff, all the while writing rhymes and making music between bids. But now it seems that Gucci is here to stay. When the news of Gucci Mane's release hit Twitter the music world began to rejoice immediately. It seemed that within minutes it was trending on Twitter, I myself remember texting a close friend of mine that the king of trap music was out. The buzz of his release was so electrifying i thought "there must be a parade going on in Atlanta right now". Within hours Snapchat released a celebratory snapchat filter commemorating the moment for Atlanta residents only. On the story Atlanta natives expressed their excitement for the release of their hometown hero. We got to see glimpses of the newly freed man on his then girlfriend now wife Keyshia Ka'oir's snapchat story and the images instantly went viral, Gucci was happy, healthy, and looking great. 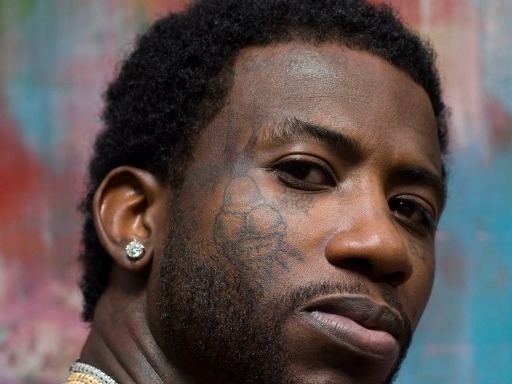 Almost immediately Gucci made his own Snapchat account where his fans could see what he was up to post-prison, and of course he went straight to recording music. It is well documented that Gucci turns out quality tracks faster than most rappers. The day after his release he dropped "1st Day Out The Feds'" a song that was pretty much about his redemption, the music video was shot in his new home here he showed off his house arrest ankle monitor. On July 22 of that same year he released his first post-prison album Everybody Looking which debuted #2 on the Billboard 200 and moved 68,000 units. The album featured artists like Drake, Kanye West and Young Thug. Not only did La Flare drop an album a mere fifty-eight days after being released from prison but it was a quality album. There are so many tracks to enjoy on Everybody Looking from "No Sleep" to "Back on Road" to "Wayback". His return to mainstream music was particularly awesome because he did more than pick up where he left off, Gucci learned and adapted his style to fit the music fans of today. Name another music genre pioneer that can put out music years after their initial impact and still knock it out the part with current fans and artists? It just doesn't happen. After his first album out of prison Gucci dropped his mixtape Woptober in October and then another studio album in December called The Return of East Atlanta Santa. Just this May Big Guwop released a new studio album Droptopwop another great project full of impeccable instrumentals, entertaining features and overall great music. The hottest single on this album seems to be "Met Gala" featuring Offset from Migos. Proving once again that his work ethic knows no bounds. Often people talk about the struggle to balance quality and quantity. The East Atlanta Santa has no such struggle, forget the frequency in which he puts out music. I have never heard claims of oversaturation from Gucci Mane fans just gratitude. Some people might wonder how an artist straight out of prison has great artists like the ones previously mentioned on his projects. Or how he has some of the best producers in the game making beats for him such as Zaytoven, Mike WiLL Made-It, Metro Boomin and Bangladesh. The answer is simple actually, Gucci Mane isn't one of those artists that people begrudgingly work with because their label told them to. It's practically an honor to work with the guy especially if you grew up in the South. If that is the case you probably owe your whole style to Big Guwop. He's put in the work to be where he is today and impacted hip-hop culture as a whole in an immeasurable way. Gucci Mane isn't the kind of legend that rides the coattails of the things he achieved years and years ago, he's focused on what he's doing right now and what he can accomplish in the future. Gucci La Flare is just the kind of guy everyone roots for, and why not? He exceeds every expectation set in front of him. P.S. As I was writing this Gucci announced a joint mixtape with Ralo a new artist on his label Eskimo Records coming out July 7th called Ralo LaFlare.